Hi all, just a small post here to brighten up an otherwise dull weekend. 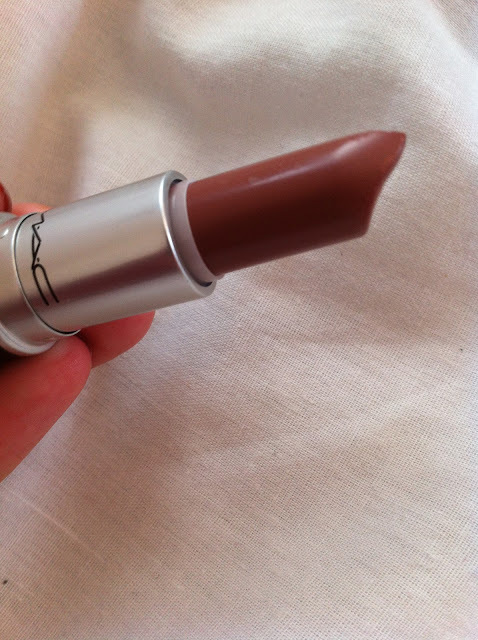 I'm relatively late to the MAC bandwagon and I'm still relatively on the fence as far as their cosmetics are concerned. The only products I truly like of theirs are their lipsticks and I've amassed a collection of 3! I know, a lot right... NOT. The first problem I have with MAC is their staff. I've never been made to feel truly comfortable while I've been browsing on the counters. Even the simplest of questions have seemed like an absolute chore for the staff. This is the main reason I've not really been interested in them as a brand until now and it's all thanks to Debenhams. When Debenhams starting stocking MAC at some of their stores and online it was like a godsend. Up to now I've only purchased MAC from them online and I've never paid full price for an item thanks to the lovely 10% off promotions they run regularly... woo! I've not really strayed into other avenues other than the lipsticks purely because from what I've heard and seen, their foundations aren't pale enough for me and I wouldn't know where to start with powders and such (may have to make the dreaded trip to a MAC counter). But if their other products are as good as their lipsticks, I may eventually be swayed. The three I have are Hug Me, Crosswires and Lustering and I love them all. They cost me £12.15 (regular price £13.50) and are a little luxury I can afford every now and again. These are super sheer, super soft, super moisturising lipsticks and I love them. You can apply them as light or as heavy as you want so the colour can vary from super sheer to a bright pop of colour. A big plus with these is that they have all the shine of a gloss without being annoyingly sticky. They just feel so soft and moisturising on the lips which means that if my lips are going through a rough patch I can still wear them without worrying about the colour gathering in patches. Winner. I'd recommend these to anyone as I really do believe anyone can pull them off. There's bound to be a colour for everyone. The two shades I have are Hug Me and Lustering. 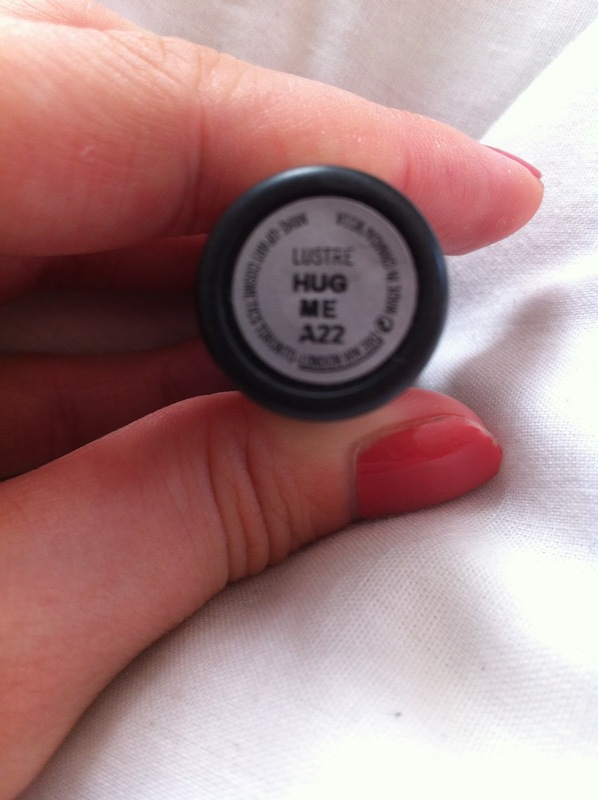 Hug Me - looks quite brown in the tube but when applied it's a my lips but better kind of shade. 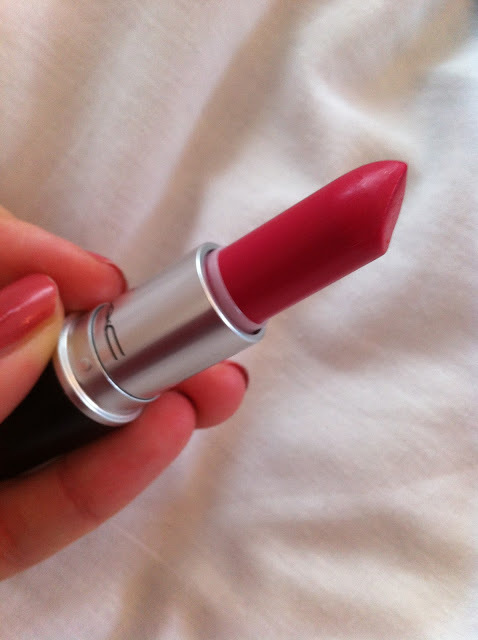 Despite the colour my lips look glossy and rosy when I wear this and it really is my go to MAC shade. Unlike my others, I can apply this and go, no need for mirrors or lip liners. Despite having the word cream in the title of the finish, this isn't really the most moisturising of the MAC range. It smooths on really easily, but my lips tend to get quite dry and the colour starts to sit in the creases after an hour or so. 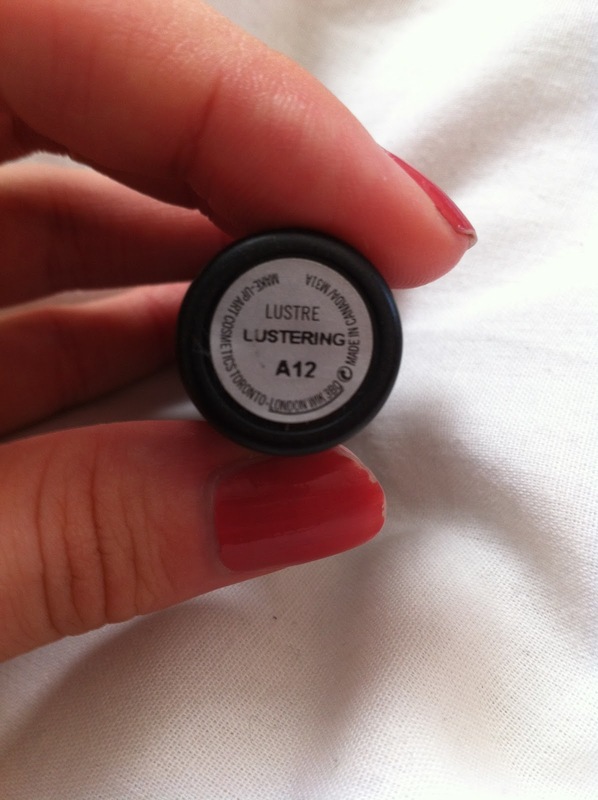 That said they're a nice formula, just not as nice as the lustre's. I do however rate this formula for a night out. It really does give a super pigmented pop of colour and isn't the most difficult formula to touch up and it lasts for as long as I need it to. 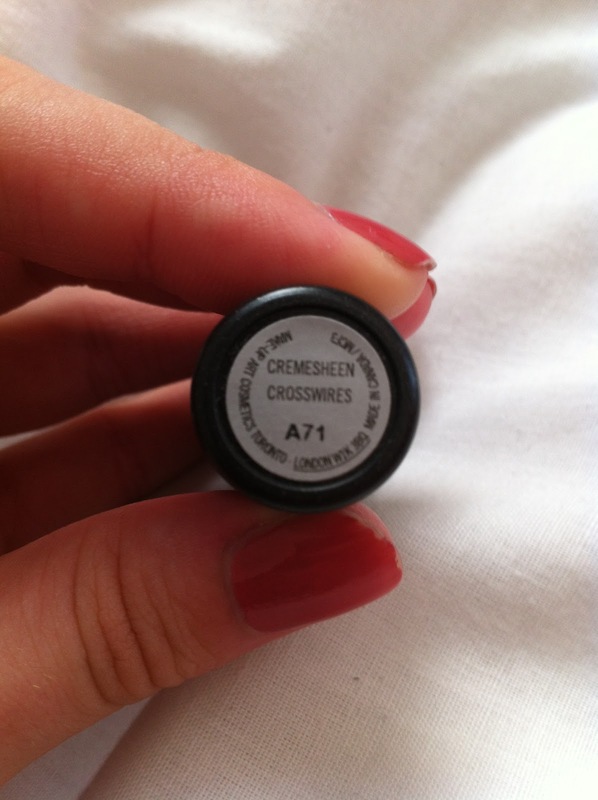 I only own one Creamsheen lipstick and it's in the shade Crosswires. 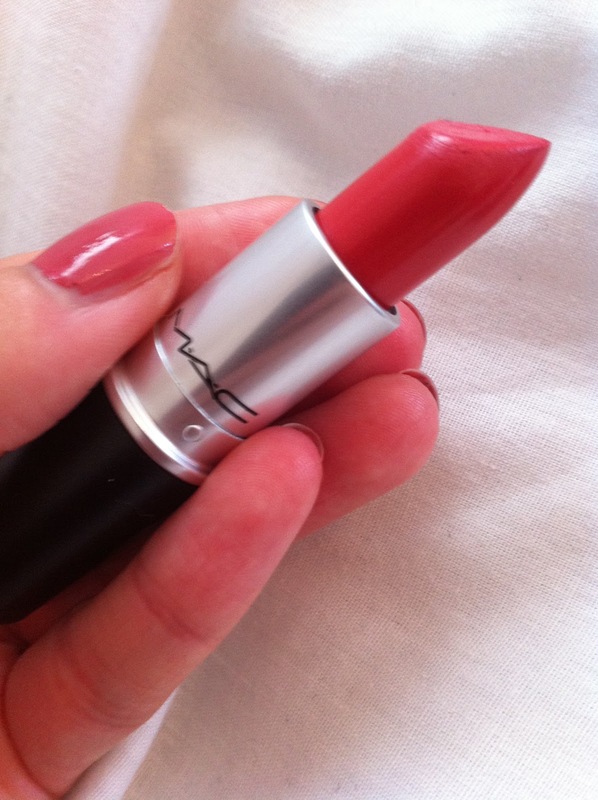 This was in fact the very first MAC lipstick I purchased which I now realise was a bold choice as it is relatively unknown in the blogging community. At the time I was looking for a bright pinky-coral and that's exactly how I'd describe it. It's the perfect lipstick for a summer brights look. It's definitely not one for the faint hearted. 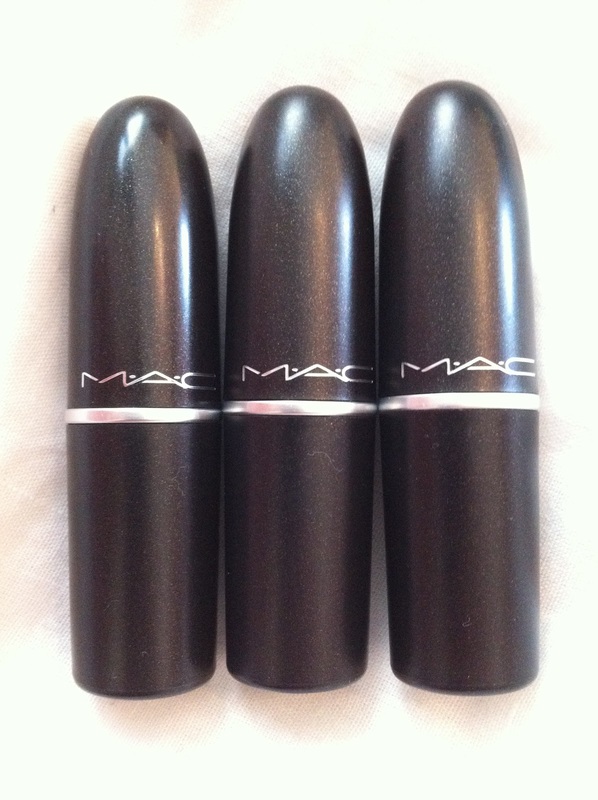 So there you have it, my vast (ahem) MAC lipstick collection. I'm pretty sure these three are the start of what will likely turn into an addition so my bank card best be ready. As I'm fairly new to the MAC wagon as it were, are there any products you would recommend and can't live without?